PIN - SARAH COVENTRY. LADY COVENTRY "FLOWERED CIRCLE" FROM 1965. 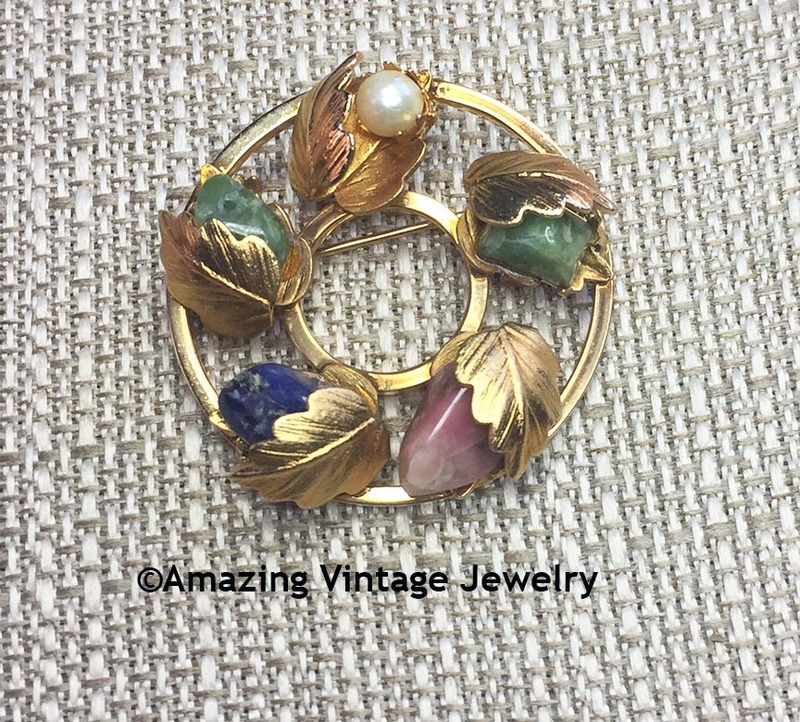 WREATH PIN FEATURES GENUINE ROSE QUARTZ, WYOMING JADE, SODOLITE, AND A CULTURED PEARL, ALL SET IN GOLDTONE. 1 1/2" IN DIAMETER. VERY GOOD CONDITION. ORIGINALLY SOLD AS A SET WITH MATCHING EARRINGS. 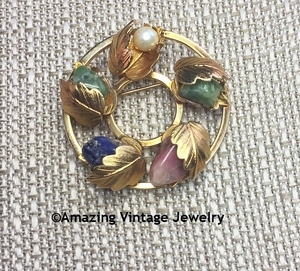 NOTE THAT EVERY "FLOWERED CIRCLE" PIN IS UNIQUE WITH DIFFERENT COLOR TONES AND SHAPES OF THE STONES. THE PHOTO SHOWN HERE IS THE EXACT PIN YOU WILL RECEIVE.